An important part of celebrating any occasion is always the cake. So when Baker Days offered me a cake to review – how could I refuse? When I checked out their website I was surprised to see the vast choice of cake designs to choose from along with the size of cake and the sponge flavour. We were due to receive a letter box cake which is a small 5 inch cake that is packed well enough in a box that enables it to travel safely and be posted through the letterbox! A few days later the postman arrived and a small white box was posted through my door. I didn’t even realise it was the cake and opened the box to find a little round tin, which inside contained the cake. Also enclosed in the box was a gift card and a small pack of sweeties which makes it a delightful little parcel to receive. My initial thoughts before I received the cake were, how well would it travel? Would it all be in a one piece? But I needn’t have worried about this at all as the tin protects the cake perfectly and the cake sits compactly inside. 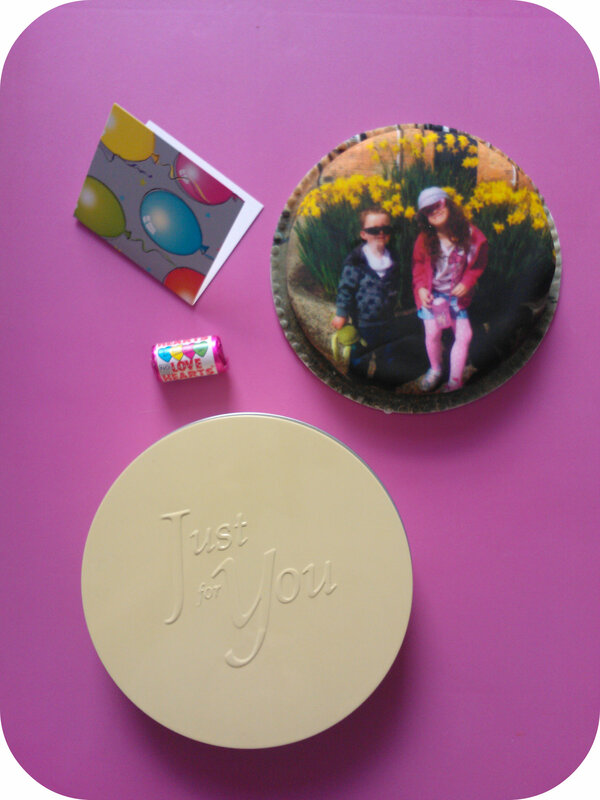 I chose a cake design personalised with a photo and was very pleased with the results although would choose a photo with a lighter background if I was to order again. The sponge inside the cake can be chosen from plain, chocolate, fruit or carrot – they even do gluten and wheat free cakes. We received a carrot cake and I was a little sceptical as to whether my children would eat this. It turns out that the recipe doesn’t have lots of obvious carrot pieces and in my opinion was a very moist, tasty sponge that both myself and my children thoroughly enjoyed and could easily have eaten more of. Overall I was quite impressed with the Baker Days letterbox cakes and think they would make the perfect gift for friends or relatives who don’t live close by. I know I’m always on the lookout for something a bit different to send to my family that’s easily postable as being 250 miles away we don’t often get to see them when they have something to celebrate.